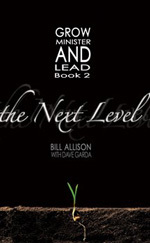 After my release of 130 Youth Ministry Tips & Ideas last week, Bill Allison of Cadre Ministries sent me a copy of his ebook, titled, “Grow, Minister & Lead–Book 2: The Next Level.” It’s aimed at volunteers in the church, specifically volunteers who work in youth ministry. It contains ten training sessions that are great for personal use or for use in small groups. Each lesson is designed to help volunteers in the church take their growth, ministry, and leadership to the next level. This ebook normally costs $9.99 or $15.00 as a nice printed copy, but, for a limited time, Bill is giving away chapter 1 for FREE to Life In Student Ministry subscribers. To get your copy, email Bill and put “Free PDF” in the subject line and he’ll send it right out to you. This is great training and Bible study material wrapped together for your next volunteer meeting. Take the 60 seconds it will require to send Bill an email and request the free chapter.